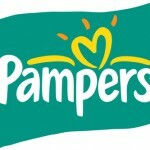 There is a new 10 point available for Pampers Gifts to Grow Reward Program. Just log into your account and enter the code FAC1011PR46DYHD. do we get points to for referring pple?